News of current LSR material trends in molding of medical devices. Glad to know..current LSR material trends in the molding of medical devices . Intertech makes good LSR mold and molding products for any customized project. Welcome to send your parts 2D, 3D to us, we will send best report ! 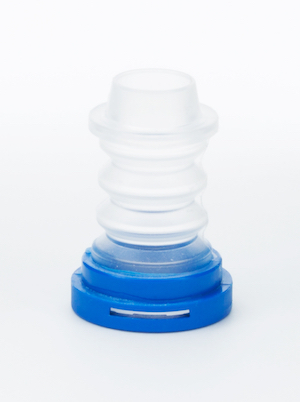 For many years, liquid silicone rubber (LSR) has been used in a range of medical devices—from seals, plungers, and gaskets in implanted and non-implanted devices, to buffering for lung catheters, where soft LSR prevents tearing of delicate lung tissue as the catheter is inserted, to providing dampening for top housing covers on devices. LSR cures faster than traditional rubber materials and offers properties well-suited for use in medical devices, among them heat-resistance, extreme low-temperature flexibility, chemical resistance, biological inertness, and an intrinsic capacity for reducing friction. LSR also cures completely and quickly, which is especially critical for implanted devices because the device will not leach chemicals and cause potential adverse reactions. In many cases, this has led to LSR replacing latex, a material long used in the medical industry, which does not fully cure during production and can lead to adverse reactions in patients. In addition, because LSR degrades only at very high temperatures—higher than most other polymers can survive—LSR can tolerate sterilization processes, further increasing its application in medical uses. While other soft materials, such as thermoplastic elastomers (TPE), duplicate some of its characteristics, LSR offers a unique combination of biocompatibility, resistance to extreme temperature, durability, design flexibility, and moldability. LSR has also continued to evolve, offering even more capabilities. Designers of new devices routinely specify LSR in their designs. As a result, suppliers of LSR have had to respond to the challenges of these new and often more complex designs by developing new formulations. In turn, as designers have responded by specifying the new formulations in new and more complex designs. Injection molders have also had to adapt to new material performance and new designs with enhanced molding capabilities. The result of all this interaction has been a continuous evolution of LSR formulations and applications. The development of new LSR formulations is ongoing. These new formulations are often the result of new challenges in device designs, but suppliers of LSR are also continually working to develop new formulations that offer new advantages to device designers. The benefits offered by these new formulations include higher tear strength, giving devices wider applications and a longer working life; a longer shelf life, which benefits molders by reducing the waste involved in discarding excess LSR inventory past its use-by date; longer pot life (the time following mixing during which LSR can be molded) that gives molders more molding flexibility; and higher levels of elongation, creating greater part flexibility. These expanded features enable molders to meet the challenging geometries that often come with new device designs, as well as create greater flexibility for designers. Essentially, new materials with new performance parameters create opportunities for innovation. But new materials also affect the practical applications of the devices themselves. It is critical for device manufacturers and designers to make the effort to be aware of new materials being developed and the advantages they offer. Too often, companies tend to stay with the materials that have worked in the past and that have already been through the time-consuming approval process. Manufacturers need to stay connected with suppliers to explore the new materials that are continually being developed. Image at right: A self-bonding LSR bellow overmolded onto thermoplastic for medical device dispensing equipment. The medical device marketplace is a fast-changing one, and new technology and new applications are requiring new designs that affect the evolution of LSR formulations. New device materials require improved characteristics such as softness, stretchability, resiliancy, and durability. Devices are continually becoming both smaller and more intricate. This is especially true of wearable and implantable devices, which are growing in both number and capability. This trend requires new LSR formulations that enhance LSR’s flexibility, enabling molders to extract products successfully from complex molds with undercuts. As wearable devices increase, these flexible devices require softer LSR formulations that enable the device to work as the patient moves, without loss of function and with minimal patient discomfort. Today’s wearable devices also often include wireless electronic reporting functions that require batteries to operate. LSR overmolding on these devices must be completed at lower temperatures (high temperatures tend to damage smaller batteries). This is requiring the development of LSR that cures at lower temperature, which is currently ongoing. There is continual pressure for medical devices, especially those being developed for home or on-the-go use, to be even smaller, to make life easier for patients, and to provide more detailed monitoring and data gathering. This, in turn, makes new demands on device designers, LSR suppliers, and molders, who will need to work together to meet the challenges. The demands created by each new medical device design may require a new LSR formulation. As these new formulations come into use, they add to the growing variety of LSR formulations available for designers to incorporate into their new designs. Just as material evolution often responds to design trends, LSR molding often responds to the development of both new designs and the new formulations developed for use with them. Smaller and more intricate device designs require different molds and molding techniques, and the proliferation of wearable devices and those incorporating electronic communication features add to that need to adapt. As a result, manufacturers are turning to the molders that they know have the expertise and equipment to meet their specific molding needs. In addition to keeping abreast of the techniques for molding these new devices, molders that can meet these new demands should keep their customers and potential customers advised of their updated capabilities. Another new development in the molding industry is the prospect of creating devices that incorporate LSR using 3D printing. A challenge that has plagued molders and device manufacturers for years is how to produce prototype devices for approval quickly and cost effectively. This has traditionally been done with one- and two-cavity molds and, more recently, with aluminum molds. But the ability to produce a prototype device in small numbers using 3D printing would completely eliminate the need for a mold, reducing delivery time and cost, and making modifying and producing second-stage prototypes simpler and less costly. There is also the potential with 3D printing to produce personalized devices for individual patients tailored to their unique medical and physical requirements. LSR formulations developed for 3D printing already exist, but material suppliers are currently working to reduce cure times in order to make the process practical. Meanwhile, forward-thinking molders are becoming familiar with 3D printing technology and evaluating its capability and its limitations prior to adding it to their capabilities. All developers and users of medical devices, including those that incorporate LSR, need to be aware of changing regulatory requirements, both those affecting material quality standards and device (and device part) traceability. For example, current regulations (21 CFR 821) now require medical devices to include unique device identifiers (UDI), which could include electronic signature chips on certain individual devices, to facilitate track-and-trace requirements and potential recalls. It is anticipated that future requirements may also require electronic identification of individual device parts as well. In the recent past, companies introducing new devices have often registered them first with regulatory bodies in the EU, where registration has been less costly and less time-consuming. That is beginning to change, as the EU has become both more costly and paperwork-intensive. We may now see it become more practical for companies to register new devices first with FDA. Where is the evolution of LSR use—for molders, formulators, and especially designers and device engineers—headed in the coming years? New formulations will no doubt continue to open new doors for designers and create new molding challenges for molders. In turn, new applications for medical devices will raise new challenges for manufacturers, molders, and material suppliers, especially as wearable and implanted devices increase, become even smaller, and take greater advantage of wireless technology to communicate data. A major advancement in the LSR arena is a multicomponent system that gives molders flexibility and enhanced control related to cure kinetics. This system approach enables molders to select and optimize the cure speed for part size and dimension, reducing cure time by up to 60%. This can also provide improvements in low-temperature cure applications when overmolding electronic, plastic, and active ingredient applications. As molders know, cure time is the largest part of LSR molding cost, and this would significantly reduce that cost. LSR suppliers also see greater opportunities for formulations with lower durometers that result in softer surfaces, especially in providing better performance and greater comfort to patients in wearable devices. This is still a solution that formulators are working on. Current lower durometer materials face problems in situations where repeated use is required, for example, because they pick up surface materials that change their surface softness. New formulations may be able to change this. Another ongoing goal is to develop LSR materials that can be produced more quickly, at lower temperatures, and at lower cost. These new materials could reduce the overall cost of molding as well as support further miniaturization and the molding of disposable devices. These innovations are being actively explored by leading silicone suppliers and medical device manufacturers. All players in the industry—manufacturers, molders, and material suppliers—should work together to cooperate to lead this continuing growth. Each will have specific needs as these developments take place, and each brings different skills and experience to the table to make them happen. But all players benefit from the result, and most importantly, patients benefit from the collaboration.